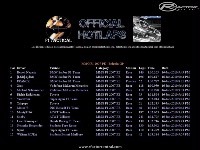 rFactor HotLaps is a program that runs as a Windows Service on any PC running rFactor Game Servers or in fact on any PC running rFactor. It will record best lap times by vehicle and session, race results, league standings, and includes pages for live server standings and a marquee ticker. It is the replacement and next generation of rTop100Factor. 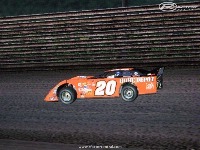 New release v2.8.5 - Includes many of the features of the popular ARCA Hotlaps plugin. Multiple dedicated servers on the same physical server is supported. Update v2.8.6 - Fixed "Unknown" vehicle being caused by commas in the RFM vehicle filter. Also added Hotlap highlighting for new records set in the past 24 hours (like rTop100Factor). Update v2.8.7 - Fixed timed race reporting. Fixed rFactorLive page for Google Chrome and also added Flag to this page. Fixed bug causing new drivers not to show up on Hotlaps page. 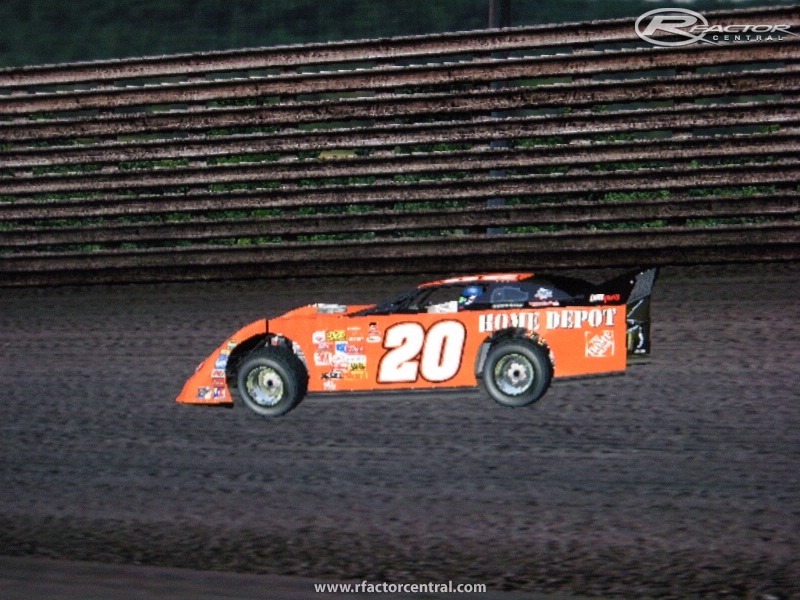 Update v2.8.8 - Fixed two Mods, WTCC 2006 and DirtFactor. Update v2.8.9 - Fixed race incident reporting which also fixed the LPI calculation on the Leagues page. Updated JAR file can be download from Forums at www.pureteamracing.com. Update v2.9.0 - Fixed race league not being assigned in the results files. Corrections to the user guide. Update v2.9.5 - Fixed contingency points and other minor bug fixes. Added use_full_team_name properties file setting. Updated JAR file can be download from Forums at www.pureteamracing.com. Please report any bugs or incompatibilities with different Mods. Thank you for sharing this exciting resource with me and the world. http://piccobra.com/ Wish you always luck. STATUS | wrapper | 2015/01/13 18:45:02 | rTop100Factor Service installed. STATUS | wrapper | 2015/01/13 18:45:07 | rTop100Factor Service started. [1/13/15 23:45:04 GMT] INFO IPC Server has started. 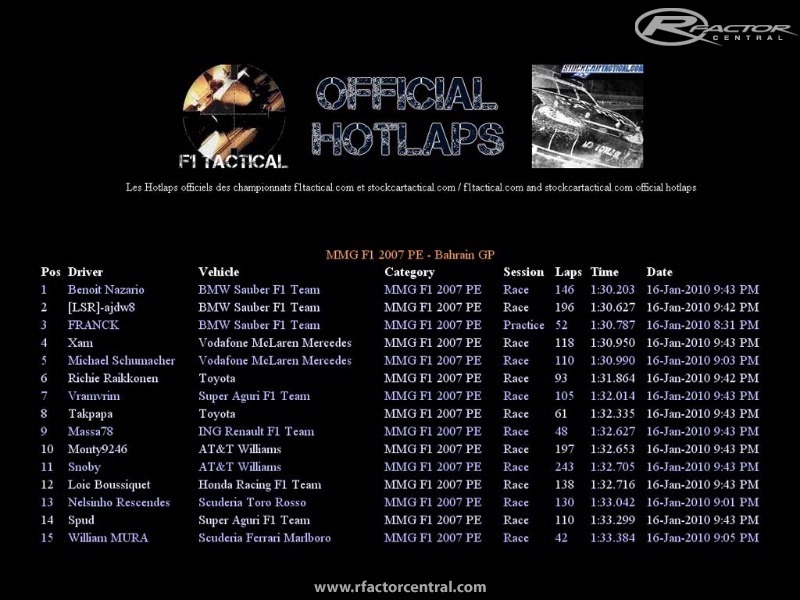 To install, stop the rFactorHotlaps service and copy the attached JAR file to the rFactorHotlaps/classes directory. Restart the rFactorHotlaps service. Hi, I am having problem doing rfactorhotlaps works in windows 7. For some reason results are not recorder. But the wep page and rfactorhotlpas service are working OK. Does anyone know if it is possible to view the hotlaps webpage from the same IP address the hotlaps service is running on? I race and serve from my home pc but the hotlaps do not show on my website so I need to view from my phone (3G) the hotlaps/results/live view. I found the topic timezone to the problem using Windows 7. I'll try to add the line in the wrapper. wrapper.java.additional.1 =- Duser.timezone = "GMT +10"
If you find the solution, please tell me whith details because adding the text "wrapper.java.additional.1 =- Duser.timezone = "GMT +10" to the end of wraper don't works. Excuse me my poor english. Thank you for answering me very soon! Is it possible to show the Partial times of the hotlap?